David was a man after God’s own heart, but even a heart that sincerely desires to serve can lead us astray. We see David betrayed by his good intentions in 1 Samuel 7. There, he decides that, now that he has constructed his own palace, he ought to build a permanent temple for God. To human wisdom, this sounds like a great idea. It’s only fair to give God a dwelling place equal to David’s, right? Even the prophet Nathan endorses it. However, God disagrees. He points out to David that never did He instruct His people to build him a house of cedar (note that the implication of silence here is, “Don’t do it.”). In fact, David has it backwards. David isn’t going to build God a house. 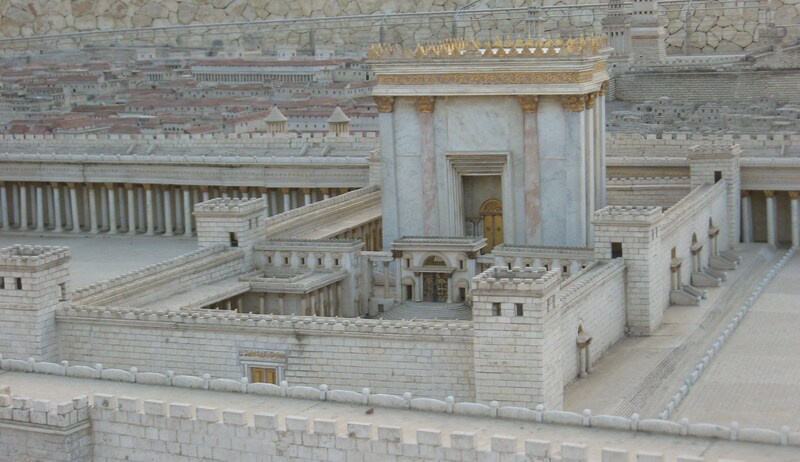 God is going to build David a house, an enduring line of kingly descendants. This promise culminates in the Christ being born of the lineage of David. The message is plain. It’s not up to David to decide how God needs to be helped and glorified. God can take care of those things just fine on His own. In fact, because He is in control and David isn’t, He is much better placed to do those things than David is. Instead, God will help and glorify David. Even now, this a text that calls us to humility. God didn’t need David’s help, and He doesn’t need our help either. It’s easy for us to decide that He does. We feel that the gospel isn’t as successful as we would like it to be. We are surrounded by cultural critics who exclaim that Christianity is outdated. In these circumstances, from the best of intentions, we can presume as David presumed. We can decide that God simply won’t be able to glorify Himself without our help and act accordingly. This is nonsense. Yes, obviously we should serve God and seek to glorify Him. That’s what we promised to do. However, even if any of us had never existed, God would be served and glorified just fine. We have work that we are called to do, but if we refuse to do it, in the words of Esther 4:14, deliverance will rise from another place. The kingdom of God cannot be defeated because the King cannot be defeated. Particularly, we must beware of substituting our house of cedar for God’s tent. There’s all sorts of surgery we could do on the Bible to make it more culturally acceptable. We could do anything from importing instrumental music into our worship services to endorsing the practice of homosexuality “in a loving, committed relationship”. We know from experience that people will flock—for a time—to a church where their particular stumbling block has been removed. However, we must remember that God’s word does not return to Him void. It always accomplishes the work that He has intended it to do. The condemnation of the wicked as they reject it might not look like success to us, but God sees things differently. Failure can only occur when we adulterate the message. Even then, it is not failure for God. It is failure for us. Excellent. I remember seeing many altars is Catholic churches in Latin America that were adorned with large amounts of real gold. Very often there were beggars outside the same buildings. The gold had been donated by individuals often looking for indulgences for their past, present, and future sins. Then we would fly over the Andes and I was so impressed with what God created and the altars didn’t compare to the handiwork of God. His plan for our salvation and how we are to worship Him are simple, but better than anything man can produce.